S -19° 1' 0" and E 47° 10' 59"
Arivonimamo in Itasy Region with it's 21,982 habitants is located in Madagascar about 24 mi (or 39 km) west of Antananarivo, the country's capital town. Current time in Arivonimamo is now 02:38 AM (Friday). The local timezone is named Indian / Antananarivo with an UTC offset of 3 hours. We know of 8 airports close to Arivonimamo. The closest airport in Madagascar is Ivato Airport in a distance of 25 mi (or 40 km), North-East. Besides the airports, there are other travel options available (check left side). While being here, you might want to pay a visit to some of the following locations: Miarinarivo, Antananarivo, Andramasina, Antsirabe and Tsiroanomandidy. To further explore this place, just scroll down and browse the available info. Let's start with some photos from the area. 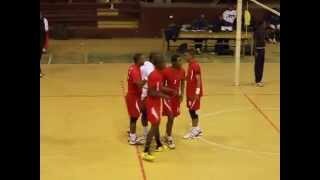 Extrait match Cosfa#Vbcd 17 aout 2014 Gymnase Couvert Mahamasina! falifaly, une chanson parmi tant autres. Vatolaivy is a small village in Arivonimamo, west of Antananarivo, Madagascar. There are catholic and Protestant churches, a primary school, shops, a market place, an hostel and restaurant, a sport area. Around this little village there are plots of the natural forest of typical endemic species Uapaca bojeri, commonly known as "tapia forest". These plots of forests are now under transferred management to local communities. This process called GELOSE is set to help for their conservation. Located at -18.9667, 47.1167 (Lat. / Lng. ), about 6 miles away. Arivonimamo is a city (commune urbaine) in Itasy Region, Madagascar. Arivonimamo is connected by the national road RN 1 to Antananarivo (east) and Tsiroanomandidy (west). The Antananarivo international airport was there until replaced by Ivato in 1967. Located at -19.0167, 47.1833 (Lat. / Lng. ), about 0 miles away. Amboanana is a town and commune in Madagascar. It belongs to the district of Arivonimamo, which is a part of Itasy Region. The population of the commune was estimated to be approximately 26,000 in 2001 commune census. Primary and junior level secondary education are available in town. The majority 99% of the population of the commune are farmers. The most important crop is rice, while other important products are maize and potatoes. Services provide employment for 1% of the population. Located at -19.15, 47.1667 (Lat. / Lng. ), about 9 miles away. Ambohitrambo is a town and commune in Madagascar. It belongs to the district of Arivonimamo, which is a part of Itasy Region. The population of the commune was estimated to be approximately 10,000 in 2001 commune census. Primary and junior level secondary education are available in town. The majority 99% of the population of the commune are farmers. The most important crops are rice and pineapple, while other important agricultural products are sugarcane and tomato. Located at -18.9167, 47.1833 (Lat. / Lng. ), about 7 miles away. Imeritsitosika is a town and commune in Madagascar. It belongs to the district of Arivonimamo, which is a part of Itasy Region. The population of the commune was estimated to be approximately 33,000 in 2001 commune census. Primary and junior level secondary education are available in town. The majority 98% of the population of the commune are farmers, while an additional 1% receives their livelihood from raising livestock. Located at -18.9833, 47.3167 (Lat. / Lng. ), about 9 miles away. Arivonimamo II is a town and commune in Madagascar. It belongs to the district of Arivonimamo, which is a part of Itasy Region. The population of the commune was estimated to be approximately 10,000 in 2001 commune census. Only primary schooling is available. The majority 99.5% of the population of the commune are farmers. The most important crops are rice and tomato, while other important agricultural products are cucumber, cassava and potatoes. Located at -18.9667, 47.1833 (Lat. / Lng. ), about 3 miles away. Morafeno is a town and commune in Madagascar. It belongs to the district of Arivonimamo, which is a part of Itasy Region. The population of the commune was estimated to be approximately 11,000 in 2001 commune census. Only primary schooling is available. The majority 96% of the population of the commune are farmers, while an additional 2% receives their livelihood from raising livestock. The most important crop is rice, while other important products are cassava and potatoes. Located at -19.0833, 47.1 (Lat. / Lng. ), about 7 miles away. Morarano is a town and commune in Madagascar. It belongs to the district of Arivonimamo, which is a part of Itasy Region. The population of the commune was estimated to be approximately 13,000 in 2001 commune census. Only primary schooling is available. The majority 99% of the population of the commune are farmers. The most important crop is rice, while other important products are maize, cassava and tomato. Services provide employment for 1% of the population. Located at -18.9, 47.3167 (Lat. / Lng. ), about 12 miles away. 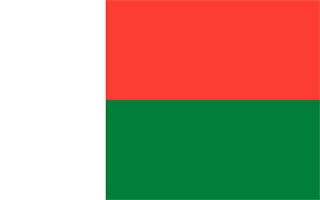 Mandiavato is a town and commune in Madagascar. It belongs to the district of Miarinarivo, which is a part of Itasy Region. The population of the commune was estimated to be approximately 20,000 in 2001 commune census. Primary and junior level secondary education are available in town. It is also a site of industrial-scale mining. The majority 98% of the population of the commune are farmers. The most important crop is rice, while other important products are vegetables and cassava. Located at -19.0833, 47.0167 (Lat. / Lng. ), about 12 miles away. Soamahamanina is a town and commune in Madagascar. It belongs to the district of Miarinarivo, which is a part of Itasy Region. The population of the commune was estimated to be approximately 9,000 in 2001 commune census. Primary and junior level secondary education are available in town. The majority 98% of the population of the commune are farmers. The most important crop is rice, while other important products are pineapple, beans and cassava. Located at -18.9833, 47.0167 (Lat. / Lng. ), about 11 miles away. Zoma Bealoka is a town and commune in Madagascar. It belongs to the district of Miarinarivo, which is a part of Itasy Region. The population of the commune was estimated to be approximately 10,000 in 2001 commune census. The majority 95% of the population of the commune are farmers. The most important crop is rice, while other important products are maize and cassava. Services provide employment for 5% of the population. Located at -18.85, 47.05 (Lat. / Lng. ), about 14 miles away. These are some bigger and more relevant cities in the wider vivinity of Arivonimamo.